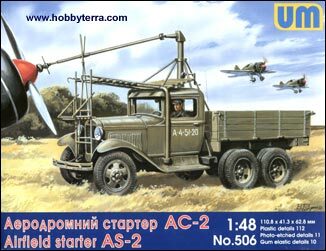 The serial production of AS-2 (airfield starter) on GAZ-AAA chassis had been started from 1936. The vehicles had been used as starter of engines of planes in the winter time. These vehicles were widely used during World War II.